What are the most popular Android apps? Unsurprisingly the majority are Google properties according to Nielsen report. Nielsen released a report today that analyzes Android app usage for the past 30 days. Nielsen broke down the usage data gathered from its proprietary software installed on thousands of consumer phones who agreed to be part of Nilsen’s ongoing smartphone research. 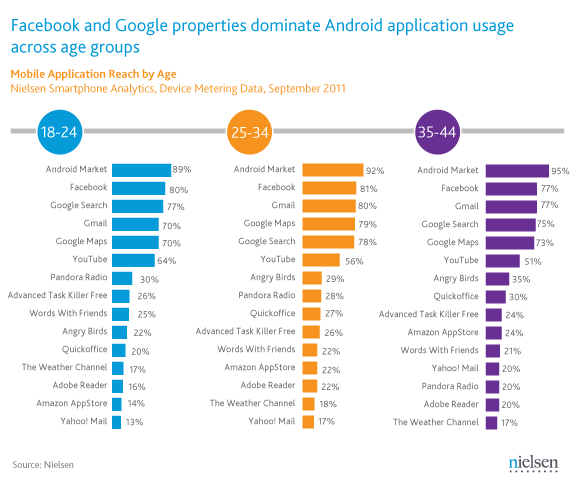 Unsurprisingly five out the top six Android applications were Google properties, with Facebook being the notable exception across all three reported age categories. I say unsurprisingly from looking at my own “most frequently used” apps list. Rounding out my most used list is Dropbox, KeePass Droid, Pandora, DoggCatcher and Amazon AppStore. What are your most frequently used apps? How do they compare to the Nielsen List? Google recently updated its Android maps app to version 6.0.0, the updated version which is available today on the Android Market enables you to map some indoor locations including select airports, shopping malls and retail stores. A Cobra Tag is a compact rechargeable bluetooth sensor approximately 2.5”L x 1”W x .5”D that pairs with your smartphone to prevent you from losing keys, purse, computer bag, or any other item you want to protect from loss. The sensor communicates with an app currently available for Android and Blackberry that will remind you with an audible alarm if you leave your phone or other item behind. 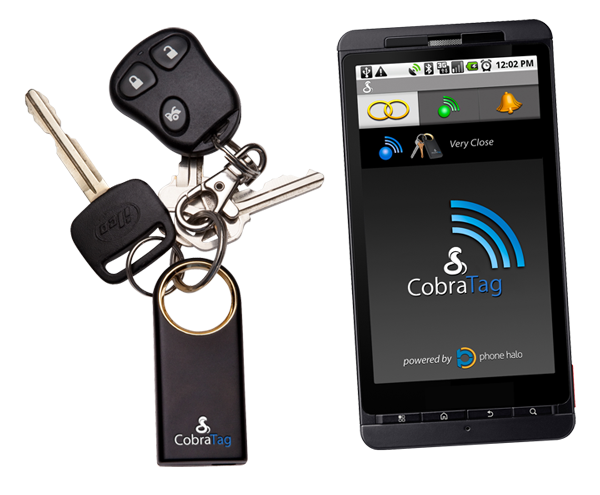 The Cobra Tag also acts like a two-way finder, tap the button on your Cobra Tag to ring your phone or conversely use the phone app to make the tag ring to help locate your other items. If you use your Android phone for navigation you are already familiar with its text-to-speech (TTS) capability. As good as Google Maps is for navigation, I’m not a fan of the robotic sounding voice that is part of the default ‘PICO TTS’ engine. Google recently updated its Maps app to version 5.11, the updated version which is available now on the Android Market takes up less storage than before. 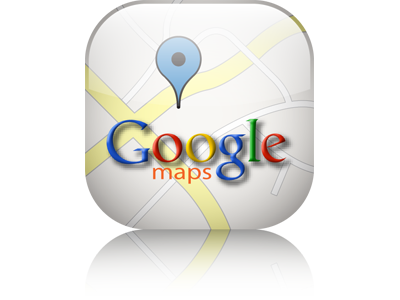 Maps are available for specific screen resolutions so users with low resolution screen handsets no longer need to download maps that are optimized for a high-resolution display. In addition, Google has introduced minor changes to some screen elements, the zoom buttons, have a slightly different appearance. They are now square, stacked vertically on the bottom right of the screen. I use Google Maps daily and didn’t notice the subtle changes. Thanks to those of you that noticed. Google also changed the NFC permissions, reportedly to support the beaming feature in the upcoming release of Android 4.0 Ice Cream Sandwich. 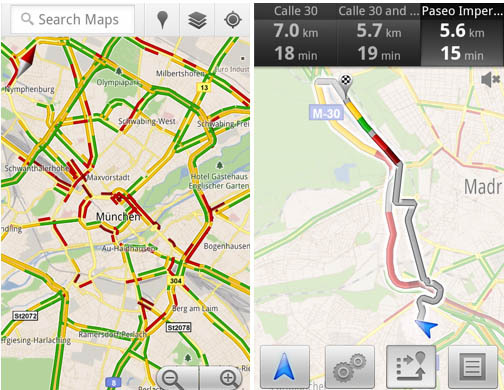 Earlier this week Google added live traffic information for 13 European countries to its excellent Google Maps app for Android, iOS and mobile browsers. The traffic information will now be available for Austria, Belgium, Czech Republic, Denmark, Germany, Ireland, Israel, Luxembourg, Netherlands, Poland, Slovakia, Spain and Switzerland. Android Google Maps Navigation (Beta) users will be able to utilize the data to optionally be routed around congested traffic areas. Phone Halo is a compact rechargeable bluetooth device (approx. 1.5”L x 1”W x .5”D) that pairs with your smartphone to prevent you from losing your device or item. Phone Halo is currently available on Android and Blackberry and is promised for iOS soon. The device is $59.95 the phone applications are free to download. Setting up Phone Halo is simple and straightforward. After charging the bluetooth device and installing the mobile application you enter your wireless settings and turn on Bluetooth on your phone. Scan for new bluetooth devices and then pair the application with the device by entering “0000” or “1234” when prompted for a pairing code. On the Android version of the mobile application “0000” paired the device successfully. Google Maps updated to 4.5.1, Maps Live Wallpaper now includes weather! Did you notice Google latest update for Google Maps for Android? It’s been recently updated to 4.5.1. The obvious change is the inclusion of weather for the maps live wallpaper. Google may have also tweaked the existing Walking Navigation Beta and the search filter (results by distance or ratings), as they are listed as “NEW” in this update.